Jamaica in January looks every inch the perfect Caribbean paradise with fine white sand, bright green, verdant interior, luxurious resorts and the surrounding bright aqua Caribbean Sea. Culturally it is very different from its neighbours. A real melting pot of people, Jamaica is lively as well as laid-back and is intensely proud of its African heritage. The best places to stay in Jamaica reflect this blended background too. Of course there are the vast all-inclusive resorts - all the mod. cons. in paradise, but there are also small, independent hotels and guesthouses. Perfect if you want to experience the heart and soul of Jamaica and not just the sun, sand and sea. Anyone who's seen a photo of this paradise island will know that Jamaica has some of the world's most beautiful beaches. Treasure Beach and Frenchman's Cove frequently appear in top ten lists. Jamaica also has some amazing diving, with a couple of especially well known sites at Runaway Bay and Ocho Rios. Plus, Jamaica produces some of the world's best coffee in the Blue Mountains. This is also the home of reggae and Rastafarianism. Once at the very heart of the slave trade, the island's history is really worth the research, though perhaps you won't want to spend too much time inside Jamaica's museums. You might not have thought of it, but Jamaica is actually a brilliant place to explore on foot. The lush interior is rife with idyllic waterfalls surrounded by jungle hiding exotic animals and there are lots of charming settlements and fishing villages to 'come across' in the jungle. Visitors flying into Jamaica land in either Kingston or Montego Bay which is probably the island's tourist heartland. 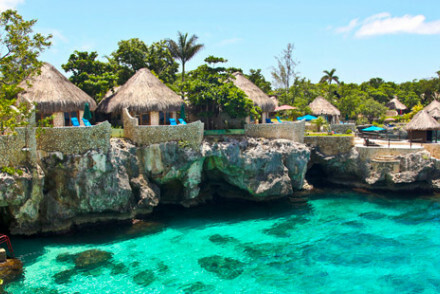 Montego Bay and Ocho Rios are where you'll find all the large resort hotels, in particular the all inclusive options. If you're looking for an independent hotel you'll find many dotted around the other centres, or surrounded by their own beautiful island-paradise-style wilderness. Kingston is bustling, the Jamaican's Jamaica. 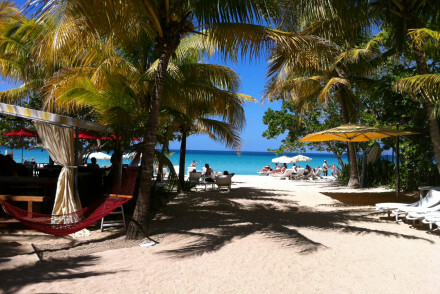 Negril has a laid-back, beach character with some very cool spots - both on the beach and on the cliffs. Port Antonio is fertile tropical charm incarnate, tucked away with a few off-beat places to stay. Treasure Beach has a really simple, off the beaten track charm and the Blue Mountains offer a very gentle local Jamaican experience. Blue Hole is home to a number of scenic waterfalls, perfect for jumping into or simply admiring as you swim down the river. Alternatively, head to Dunn's River falls and Park which is much the same - they're both spots that the whole family will love. Seven Mile Beach is a particularly serene location for seaside lounging, with its long sweeps of white sand and turquoise waters. Head to Rose Hall Great House and hear all the tales of the alleged "white witch" that used to live there! 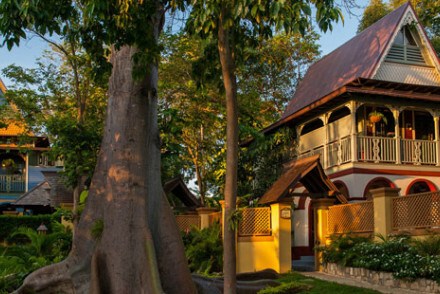 There's also the fascinating Devon House, home to the first black millionaire in the Caribbean. Culture vultures should also consider checking out the National Gallery, Bob Marley Museum and Greenwod Great House. Use our guide to the best places to stay in Jamaica and start planning your trip to this Caribbean beauty. 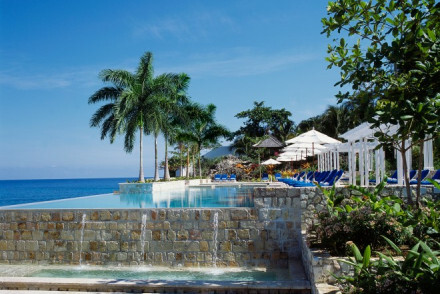 GoldenEye in Ocho Rios is one of the world's greatest five star beach front hotels. Villas and cottages have mahogany details and direct beach access. There are two restaurants - both of them excellent, a freshwater infinity pool, an extensive spa and even a library. The emphasis is on privacy. The Bond reference is because this is where several of the books were written - amongst all this beautiful peace and sunny tranquility. The Caves just outside Negril is a beautiful, grown up five star hotel with private cottages and ladder access to the sea. 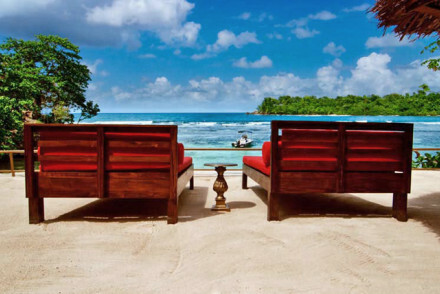 Possibly the perfect spot for a Caribbean honeymoon. Portland's Trident Villas is a glamorous, modern beachside resort. There are big bathrooms, an infinity pool, a modern spa, private beach and gym and manicured gardens. Plus all the suites have private plunge pools. For something a bit different, one of the best places to stay in Jamaica is Negril's Sunset at the Palms, an elegant treehouse hotel. 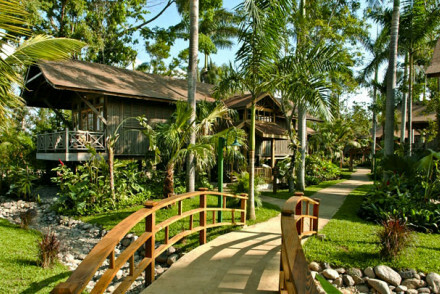 Lush and secluded there are three restaurants and bars serving fantastic regional and international delicacies. Geejam in Portland is a gorgeous hillside hotel surrounded by six acres of lush, green forest very close to the famous Blue Lagoon. There are just seven rooms with dark wood floors and furnitureand terraces over looking the sea - some have their own verandah hot tub. 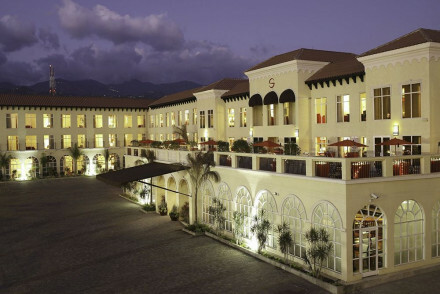 Strawberry Hill is a boutique hotel converted from a former coffee plantation. They still have plenty of Jamaican art and antiques and of course astounding mountain views across the hills to Kingston. 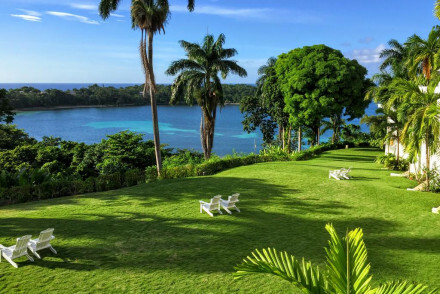 Also in the mountains, this time near Port Antonio, Mockingbird Hill is an elegant, eco-friendly hilltop hotel with no phones or TVs and some of the island's best food, served in an ocean facing restaurant. 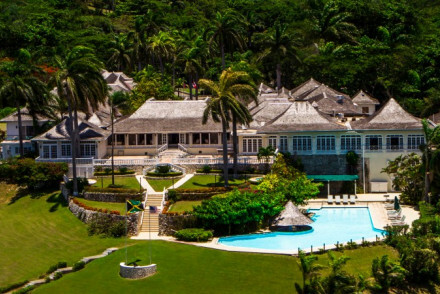 The Tryall Club near Montego Bay is a classic Jamaican colonial style hotel, but still a bit different from the beach resorts. It's big and has plenty of facilities. 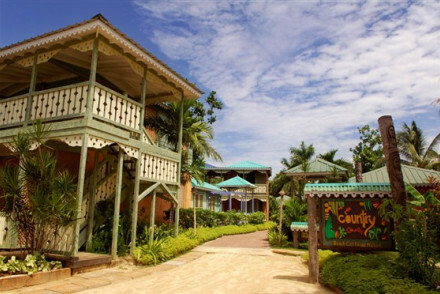 Country Country is right on Negril's Seven Mile Beach and the colourful cottages give it a classic beach holiday feel. There's a great atmosphere and a simple, but good value, restaurant. 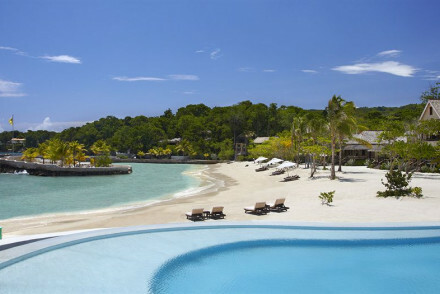 Negril's Round Hill is a five star resort, oozing elegance (and a stylish clientele to match) with a private beach and loads of facilities and activities on offer. This is the kind of resort you definitely don't need to leave. Rockhouse in Negril offers a collection of thatched, stone cottages with muslin-draped four poster beds and outdoor showers. Surrounded by tropical gardens on all sides but the ocean you feel secluded. There's also a great spa. Negril's Sweptaway is a large but peaceful, adults only, all-inclusive beach front resort with a choice of six restaurants and an award winning spa. The aptly-named Idle Awhile enjoys a splendid beachfront location and boasts colourful, tasteful accommodation with plenty of dark wood. With a beach bar, restaurant and spa faciltiies, it's a lovely stay. The all inclusive Shaw Park Beach Hotel boasts smart rooms with colourful furnishings, as well as an outdoor pool, spa, gym and top-notch grub. With everything catered for, it's ideal for those simply wanting to relax! 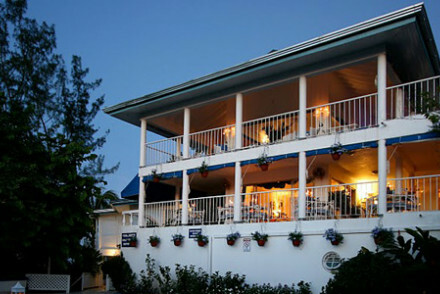 Jakes in Treasure Beach is a chic hotel right on the water. The decor is an eclectic mix of antiques with more stained glass and mosaic than you'd expect. Some cottages have their own kitchens and they run plenty of classes - cooking, art and fishing for example. 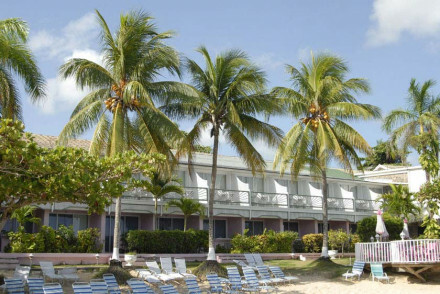 If you're looking for a small family friendly resort, Hermosa Cove in Ocho Rios is for you. There are just nine cosy, hand-crafted villas with kitchens and private pools. If you don't want to self cater there's an excellent seafood restaurant and the hotel will happily stock your fridge. 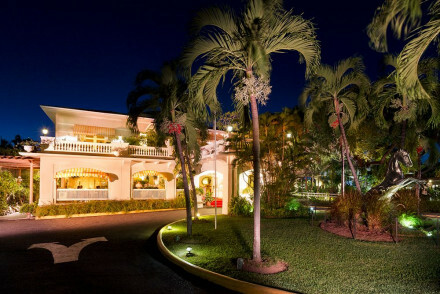 The Half Moon Resort in Montego Bay offers luxury for all the family. Elegant and serene, there's also plenty to do, from riding, tennis and kids clubs. The villas range in size with the largest having seven ensuite bedrooms. There is also a huge spa. 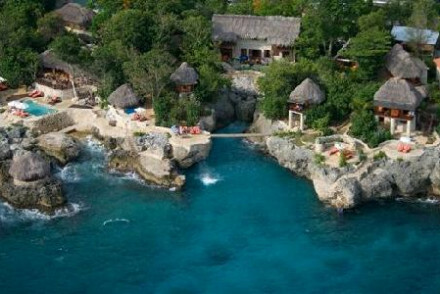 Catcha Falling Star in Negril is a stylishly rustic cliff top hotel with charming thatched cottages. 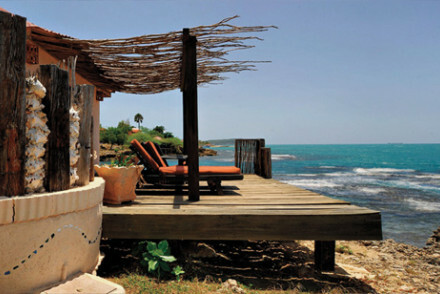 Here you'll find outdoor showers, bougainvillea filled gardens and terraces overlooking the sea. Some cottages have their own kitchens too, though they don't allow children. Rooms start from as little as £52 per night. Also in Negril, and also a laid-back cliff side hotel, the Tensing Pen offers secluded cottages, some with their own ladders directly into the sea. They're big on yoga and spa treatments and there's the echo of reggae music heard throughout. 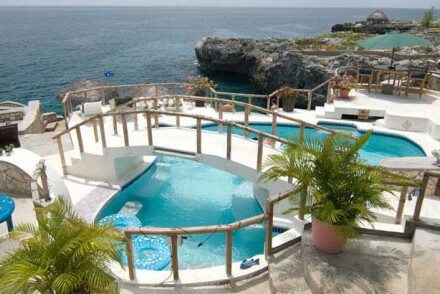 The Hibiscus Lodge in Ocho Rios is just a few minutes from the centre of town and has great cliff top views. This is a classical tropical hotel. Rooms start from £85 per night. Terra Nova is an opulent choice in the centre of Kingston, offering elegant rooms with luxurious furnishings and an outdoor pool. Enjoy lovely cuisine from the restaurant and relax in the atmospheric bar. Spanish Court features tasteful accommodation and all the necessary mod cons. for a splendid stay. Spend your days exploring Kingston before coming back to choose between international or typically Jamaican grub. 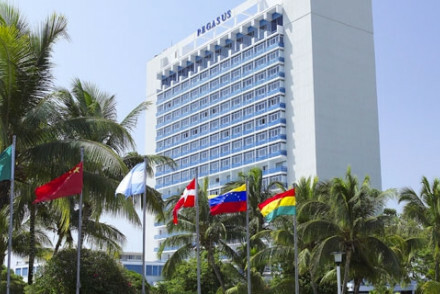 Also located in Kingston, Jamaica Pegasus is a contemporary stay with stylish art deco rooms, a pool, spa, gym and choice of eateries. If you think you'd be best served by a self-catering option then browse through the wide variety available with our partner Booking.com. Hurricane season lasts from June to November, so you're probably best off avoiding visiting at this time. The island's also a spring break hotspot from March to mid-April so expect it to be full of students. Peak season, from January to March, is when the weather's nicest, though accommodation is fairly expensive at this time. The island's never exactly cold though, with average temperatures of 27-30°C year round, so consider coming in autumn if you want a peaceful but warm getaway. Visitors can either fly into Kingston's Norman Manley Airport, Montego Bay's Sangster International Airport or the Ian Fleming International Airport in Ocho Rios. These are all well served by public transport links around the island. 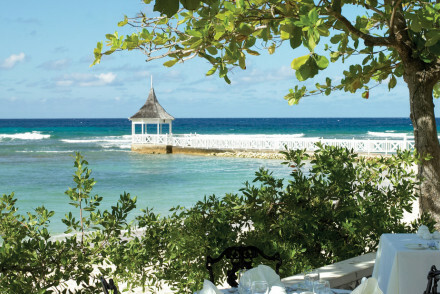 Browse through our list of all the best places to stay in Jamaica. Alternatively, widen the net and check out all our Caribbean recommendations. Laid back hotel on cliffside. Rooms have muslin-draped four poster beds, terracotta floors, big bathrooms - some with outdoor showers. Outdoor pool, yoga space and spa treatments. Very cool reggae can be heard throughout the property. Superb modern Jamaican cuisine. Secluded, relaxed and friendly. Opulent grand hotel in centre of city. Elegant rooms feature antiques, luxurious fabrics and big bathrooms. Outdoor pool and terrace. Excellent fine dining in the restaurant; charming old fashioned bar. A superb choice to explore the capital from. Stunningly situated clifftop hotel. 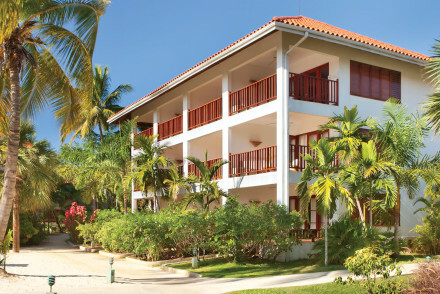 Rooms feature tropical print furniture, large bathrooms and views of the sea or gardens. Outdoor pool, lush gardens & popular restaurant. Just a few minutes walk from the centre of Ocho Rios. A great value choice for a beach holiday. Unique cliffside hotel. Rooms in thatched stone cottages feature muslin-draped four poster beds & terraces - some with outdoor showers & some in secluded spots amid the tropical gardens. Outdoor pool, fantastic spa & three restaurants. Boutique & laid-back with unbeatable views. Great value too. Colourful fairy tale style cottages on Negril beach. Rooms are decorated in tropical prints with shutters, bamboo furniture & terraces. Located directly on the beach yet set amid lush gardens. Excellent, simple food served at the restaurant. Buzzy atmosphere - a great value classic beach holiday. Chic beachfront hotel. Rooms come with colourful walls, nautical striped furniture, dark wood shutters and gorgeous bathrooms. Fresh and tasty cuisine from the restaurant and bar on the beach. Use of nearby hotel's fitness facilities. Peaceful, contemporary and cool. 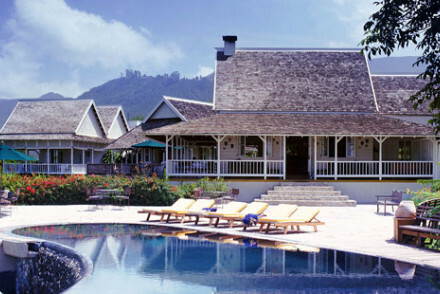 A charming and secluded resort with a large garden overlooking Frenchman's Cove. The indulgent villas come with self catering facilities and a helper to prepare your meals or organise your activities. With two tennis courts and a swimming pool this is a self contained haven. Charming city hotel. Modern rooms offer dark wood furniture, big beds and ipod docks. Outdoor pool and rooftop terrace, spa and gym to enjoy. Fantastic international and Jamaican food is served. Chic central base to explore this colourful city from. City Style - This chic hotel is perfect for exploring the city's museums and nightlife. All inclusive beach resort. Elegant rooms have private balconies facing the sea and colourful furnishings. Outdoor pool and lush orchid filled gardens. Spa and gym for your pleasure. Superb cuisine from restaurant, both local and western foods. Quiet and charming and great value for money. Sumptuous villa resort. Rooms are colonial-chic with lively prints, large bathrooms, views of the golf course or coast & private pools. Outdoor pool, gym, golf course, tennis courts and gardens. Choice of restaurants offering excellent local cuisine. A great choice for adventure types. Elegant, eco-friendly hilltop hotel. Rooms feature muslin-draped four posters & bamboo furniture but no phones or TVs. Outdoor pool, spa treatments and rooftop canopy. Some of the best food on the island is served in the ocean facing restaurant. Chilled and charming - perfect for total escape. Eco - Solar heated water and lots of upcycling. Sustainability is the key word here. Spa - Outdoor garden of Wellness area offering a selection of holistic treatments including herbal baths, facials & more. Nine hand-crafted villas. Bedrooms are full of warmth with dark wood and leather furniture and views of the gardens. All come with kitchens which can be stocked by the hotel. Private outdoor pools, and excellent seafood restaurant. Intimate, luxurious and a real home from home. Sights nearby - Dunn's River Falls and Dolphin Cove. Boutique hotel on a hilltop perch amid the Blue Mountains. 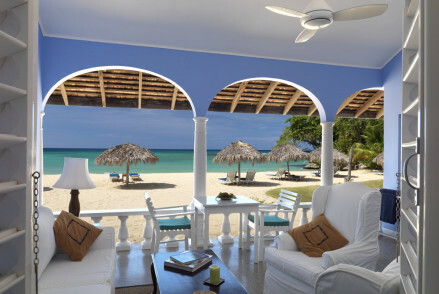 Gorgeous rooms feature antique Jamaican furniture, mahogany four posters & mountain-view porches. Outdoor pool, spa & yoga terrace. Delicious 'new Jamaican' cuisine, chilled bar area. A stylish stay with unbeatable views across Kingston. Views - Amazing 360 degree views from its hilltop location. Great walks - Get Rasta Dave to take you on one of his guided walks through the Blue Mountains. He is a mine of local information. Contemporary city hotel. Rooms feature art deco style furniture and large bathrooms. Outdoor pool and sun terrace, tennis courts, gym, jogging track and spa. Choice of excellent Jamaican and international cuisine in restaurants. Sublime hotel on a magnificent beach. 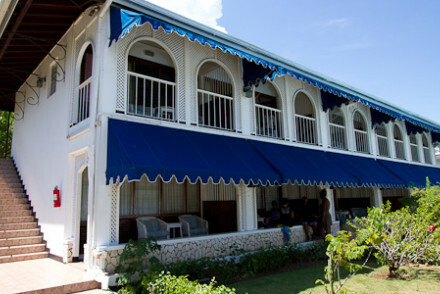 Large, elegant rooms feature four poster beds, white shutters, antique furniture, and sea views. Outdoor pool, gym and spa for your enjoyment. Choice of excellent restaurants for either formal or informal dining. Secluded, gorgeous and grown-up. Luxury resort overlooking Montego Bay. Elegant rooms feature four poster beds, antique furniture and seaside terraces. Riding, tennis and gym facilities. Outdoor pool and large spa. Superb traditional regional cuisine in choice of restaurants and bars. Secluded, opulent and family friendly. Groups - Villas with up to seven ensuite bedrooms are perfect for larger families and groups. All inclusive adults only 'treehouse' hotel. Elegant rooms have bamboo furniture, large bathrooms and wooden balconies. Outdoor pool, spa, tennis courts and gym. Three restaurants and bars providing fantastic regional and international dishes. Grown up, lush and secluded. Cooking classes - Island cooking classes. Sensational 5* hotel. Large rooms feature white shutters, dark wood furniture and gorgeous bathrooms. Private villas have dedicated staff for every need. Spa, beauty salon and gym at your disposal. Outdoor pool, private beach area, tennis court & kids club. Luxurious, romantic and laid back. Exquisite 5* beach front hotel. Villas, cottages and stilted beach huts have mahogany beds, shutters and direct beach access. On site restaurants serve up traditional Jamaican styles with a twist, from their organic garden. Historic and luxurious with the emphasis on privacy. Honeymoon heaven! Birdwatching - 255 bird species can be viewed from the surrounding area. Gorgeous hotel set amid six lush acres. Rooms feature darkwood floors, white furniture, wooden terraces and enormous bathrooms. All rooms come with built in entertainment systems. Outdoor pool, gym and spa treatments. Superb Caribbean fusion food in the restaurant. Secluded and chic. Sights nearby - 10 minutes drive from historic Port Antonio. Views - Wonderful views from the hillside location. Contemporary beachside hotel. Villas have stone floors, big bathrooms, 1960s style furniture, private terraces and plunge pools. 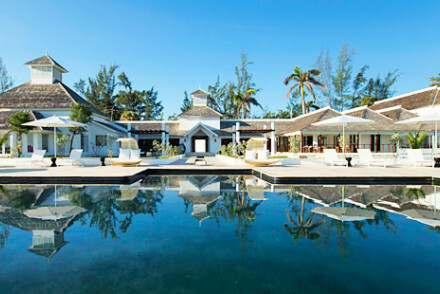 Outdoor infinity pool, manicured gardens, private beach area, spa and gym. Two excellent restaurants offering western or local cuisine. Luxurious, chic and glamourous. Sensational all inclusive beach front resort. Contemporary rooms feature wooden floors, shuttered windows, terraces and bamboo writing desks. Three outdoor pools, award winning spa, tennis courts, gym and private beach area. Six restaurants offering excellent range of cuisine. Characterful luxury. Characterful 5* hotel on the cliffside. Funky, colourful cottages feature elegant rooms with white shutters, dark wood floors and enormous bathrooms. Some have small kitchen areas. Outdoor pool, spa treatments available and ladder-access to the sea. Grown-up ambience with superb service.